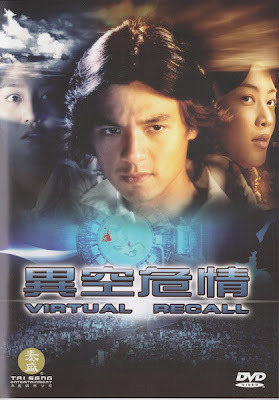 Chang Hoi Ching's Virtual Recall, a movie I had absolutely no intention of ever picking up. One of the worst dvd covers I've seen in some time too! 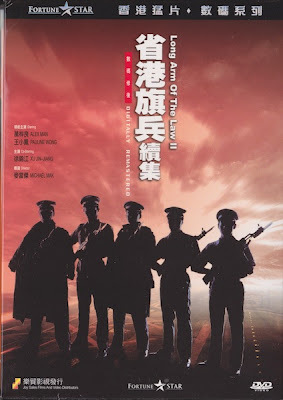 After my review of Long Arm Of The Law, I was eager to see the three unrelated sequels and despite a long delay in them arriving, thanks to the Taiwanese edition of Rouge holding up the order (they still couldn't get it! ), they finally arrived. 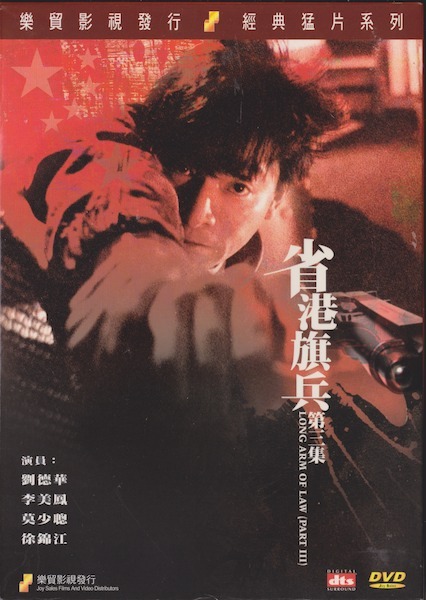 Credit where it's due, for all the bitching I do about dvd cover art, I love the Long Arm 3 cover, very striking. Back to the bitching now. Another truly terrible cover, what were they thinking? Danny Lee's Law With Two Phases, Danny won best actor for his role in this film at the 1985 HK Film awards. I've been interested to see this for a while. Lastly for part two, David Chung's Royal Warriors starring Michelle Yeoh and Michael Wong (what a pose on the cover!) 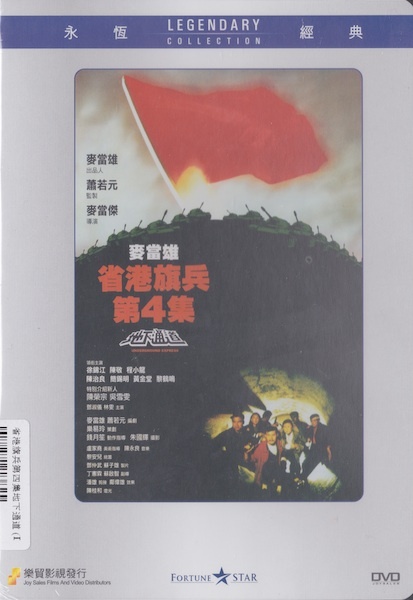 a real favourite back in the VHS days this one. Keep an eye out for part three coming soon. 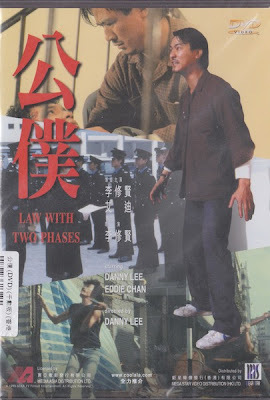 The cover art for "Law With Two Phases" looks like the designer was given a bunch of images and told to make them fit. 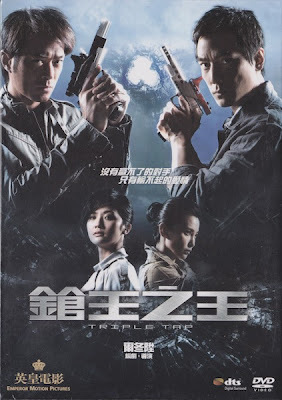 Michael Wong might as well be from a catalog for selling topcoats--minus the gun, of course. ewaffle, I think it's a stretch to actually refer to him as a "designer" based on that effort! If you just picked up the Mega Star disc of LAW WITH TWO PHASES you definitely picked the wrong one! The Joy Sales / Legendary Collection issue should be the prefered choice for this devastatingly brilliant crime drama. The subs are absolutely horrendous though, even by HK 80s / 90s standards.